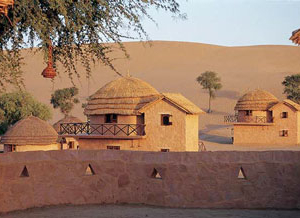 Lying in the north of the desert State, this city is dotted with scores of sand dunes. 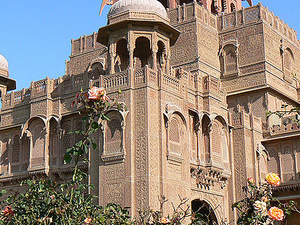 Bikaner retains the medieval grandeur which permeates the city's lifestyle. More readily called the camel country, the city is distinguished for the best riding camels in the world and hence boasts of having one of the largest Camel Research and Breeding farms. The ship of the desert is an inseparable part of life here. 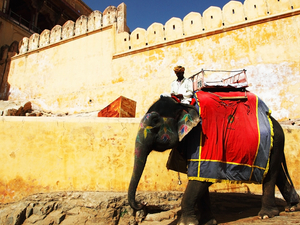 A camel, besides being a mode of transport also works on wells. 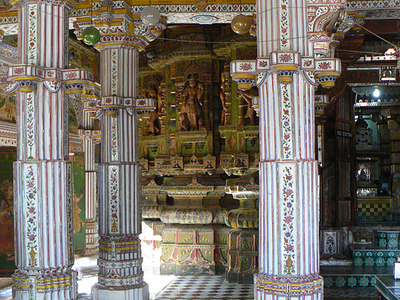 These wells are built on high plinths with slender minarets on each of the four corners and can be noticed even from a distance. 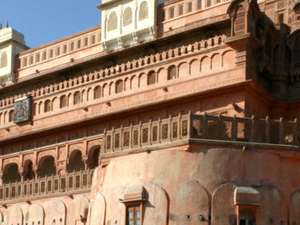 The history of Bikaner dates back to 1486 when a Rathore prince, Rao Bikaji founded his kingdom. 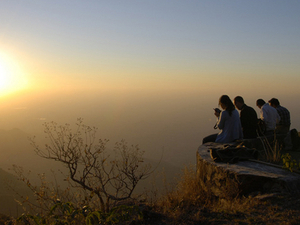 Bikaji was one the five sons of Rao Jodhaji the illustrious founder of Jodhpur. But Rao Bikaji was the most adventurous of them. 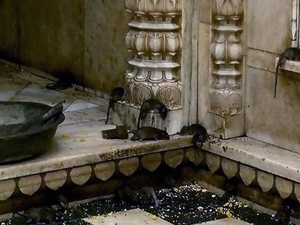 It is said that an insensitive remark from his father about his whispering in the Durbar provoked Bikaji to set up his own kingdom towards the north of Jodhpur. The barren wilderness called Jangladesh became his focul point and he transformed it into an impressive city. He accomplished this task with 100 cavalry horses and 500 soldiers, and established his kingdom on 84 villages abandoned by the 'Shankhlas'. When Bikaji died in 1504 his rule had extended to over 3000 villages. 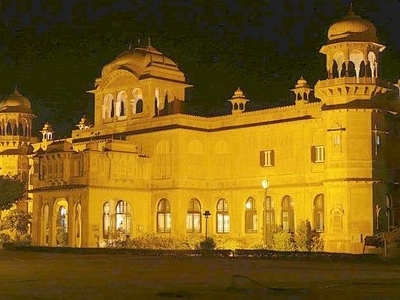 The strategic location of Bikaner on the ancient caravan routes that came from West/Central Asia made it a prime trade centre in those times. 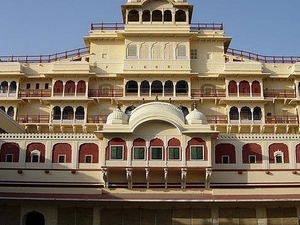 Bikaner stands on a slightly raised ground and is circumscribed by a seven kilometer long embattled wall with five gates. 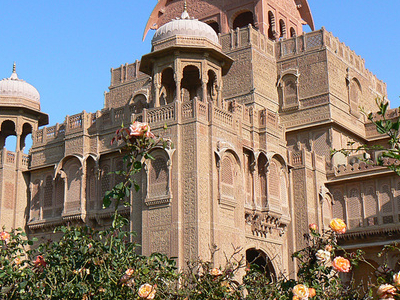 The magnificent forts and palaces, created with delicacy in reddish-pink sandstone, bear testimony to its rich historical and architectural legacy. 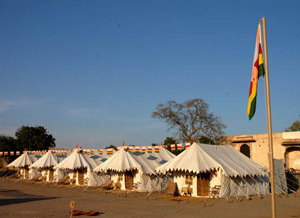 Surging lanes, colourful bazaars with bright and cheerful folks make Bikaner an interesting experience..
Modern Bikaner is the result of the foresight of its most eminent ruler Maharaja Ganga Singh (1887-1943) whose reformative zeal set the pace for Bikaner's transformation from a principality to a premier princely state.